Change Lives One Pencil at a Time. The Gift of Writing Foundation is a nonprofit organization with 501©3 exemption. The organization was founded by Dr. Frantz C. Dorsainvil and a group of educators. 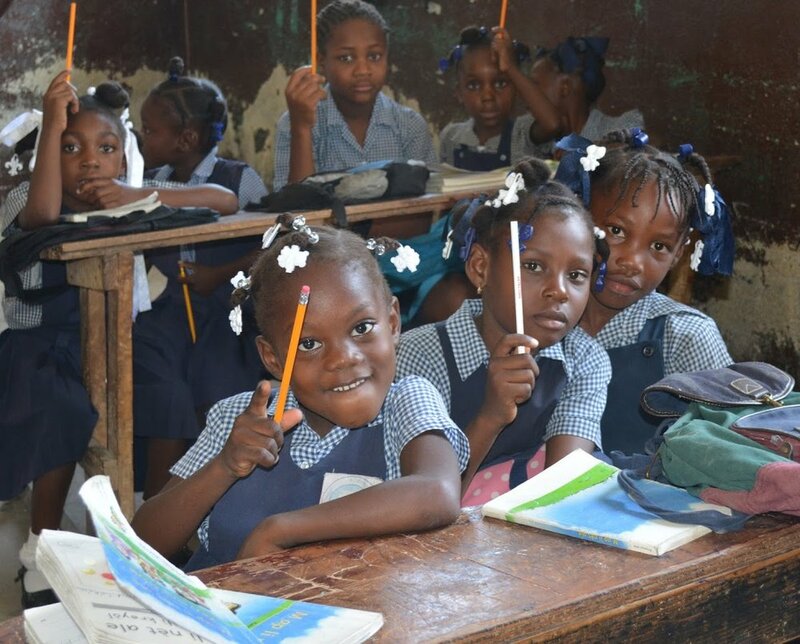 The goal of the foundation is to collect pencils and pens to donate to children in Haiti. This simplistic idea will make a profound difference in the lives of children. Other goals of the organization are to provide workshops on the education system in the United States, assisting high school students and their families with financial aid, college application and other resources. He provided brief counseling, art therapy for children and translated for the medical team. In addition, he has traveled to Rwanda and Tanzania, Africa where he visited orphanages and donated toys to children. The committee members of The Gift of Writing Foundation are committed to making a difference in the lives of many children and their families. We need your assistance collecting pens and pencils, along with monetary contributions to help support our mission. We believe we can inspire children one pencil at a time! For information on how to make a donation please email: pencilsforprogress@gmail.com or call (516) 351-1998.